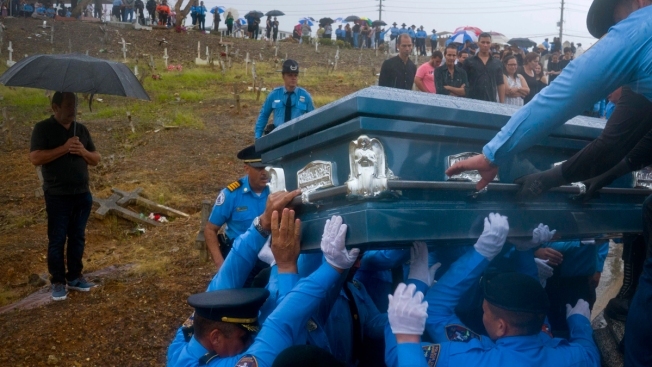 In this Friday, Sept. 29, 2017, file photo, police lift the coffin of fellow officer Luis Angel Gonzalez Lorenzo, killed during the passage of Hurricane Maria when he tried to cross a river in his car, during his funeral at the cemetery in Aguada, Puerto Rico. Disabled and elderly people were discharged from overwhelmed hospitals with bedsores that led to fatal infections. Medical oxygen ran out. People caught lung infections in sweltering private nursing homes and state facilities. Kidney patients got abbreviated treatments from dialysis centers that lacked generator fuel and fresh water, despite pleas for federal and local officials to treat them as a higher priority, according to patient advocates. There was Ernesto Curiel, a diabetic who died of a heart attack after weeks of walking 10 flights twice a day to fetch insulin from his building's only working refrigerator. Alejandro González Vázquez, 47 — unable to obtain his anti-psychotic medication, he committed suicide instead of boarding his flight back to the U.S. mainland. Juana Castro Rivera, 52, dead of leptospirosis, a disease transmitted by contaminated water. After several visits to a community clinic, she was diagnosed — too late — by a hospital in a neighboring municipality. The joint project interviewed 204 families of the dead and reviewed accounts of 283 more to tell the stories of heretofore anonymous victims. Dozens more have contacted the Quartz, CPI and AP since their results were first reported. Along with post-storm conditions, each death has a complex mix of causes that can include serious pre-existing conditions and individual decisions by patients, caregivers and doctors, making it difficult to definitively apportion blame in every case. But critics say many could have been saved by better preparation and emergency response. "I was looking for help and no one came," said Maria Gonzalez Munoz, who spent 30 days after the storm caring for her disabled sister in her blacked-out home. Ramona Gonzalez, 59, died a month after the storm, from sepsis — caused, says her family, by an untreated bedsore. The Gonzalez home is 3 miles (4.8 kilometers) from the convention center that served as headquarters for thousands of federal and local emergency responders for more than a month after the storm. Maria and her brother took Ramona to a hospital twice, and tried to get her aboard a Navy medical ship in San Juan harbor, but couldn't save their ailing sister. "No one was asking after us, no one from the government," said Gonzalez Munoz, 66. The hurricane's true death toll has fueled debate since the first days of the storm, in large part because of the near-unique nature of the disaster. The United States' deadliest hurricanes have killed most of their victims with powerful winds and flooding in the hours and days immediately before and after landfall. The National Hurricane Center says that Katrina struck Louisiana and other states in 2005 it caused 1,500 direct deaths and 300 indirect ones from causes like heart attacks and failed medical equipment. 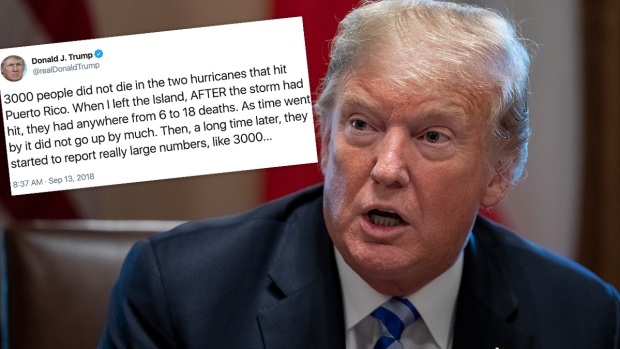 President Donald Trump denied the updated death toll in Puerto Rico from Hurricane Maria in a pair of tweets, just as Hurricane Florence was slated to make landfall on the U.S. East Coast. Close to 3,000 people died in Puerto Rico from the 2017 storm, according to an independent study commissioned by its government. 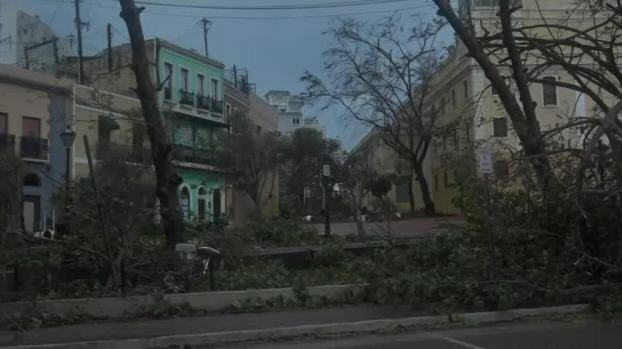 Largely due to decades of neglect and years of fiscal crisis, the Puerto Rican electrical grid collapsed into the United States' longest-ever blackout after Maria hit on Sept. 20, 2017. That spawned a long and deadly tail for the storm, with hundreds of deaths coming long after the first weeks of the storm, as medical equipment failed and sick people weakened in the suffocating heat. 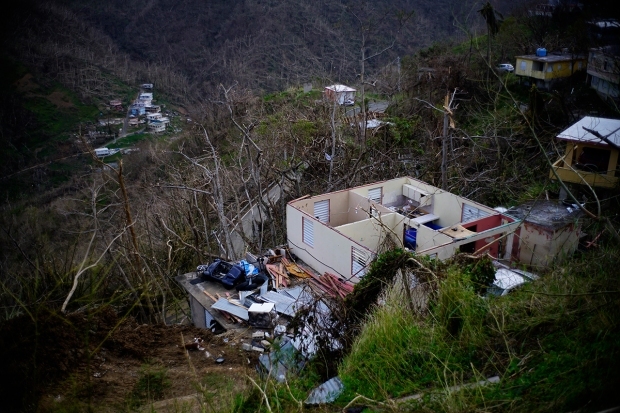 Researchers from George Washington University hired by Puerto Rico's government estimated last month that 2,975 people had died because of Maria in the six months after landfall, a number Puerto Rico accepted as official. Though Trump continued to assert this week that his administration's efforts in Puerto Rico were "incredibly successful," both the local and federal governments have been heavily criticized for inadequate planning and post-storm response. The GWU report found that Puerto Rico had no plan for communication with its citizens in a crisis. The Center for Investigative Journalism found in May that the island's health department had no emergency response plan for hospitals and other medical facilities. As for the Trump administration, more than half of federal emergency personnel in Puerto Rico were not qualified for their assigned tasks as of October 2017, a month after landfall, according to a Sept. 5 report by the U.S. Government Accountability Office. An after-action report by FEMA found it had underestimated the food and fresh water needed, and how hard it would be to get supplies to the island. Puerto Rico was understocked in part because Hurricane Irma struck two weeks before Maria, battering the U.S. Virgin Islands. Staff was depleted because of wildfires and other major natural disasters. It estimated 2,975 deaths from Sept. 2017 through the end of Feb. 2018. In an op-ed written in USA Today, FEMA administrator Brock Long said the report was not an admission of failure. "Nothing can be further from the truth," he wrote. "Instead, the report is a transformational document intended to build upon successes." Ramona Gonzalez's sister said she had long suffered from a degenerative brain disease that left her unable to get out of bed starting more than two years before the storm. Without air-conditioning, fresh water or power, she developed steadily worsening bedsores. She was admitted and sent home twice from overwhelmed San Juan hospitals, even though her relatives said they were unable to treat her sores. Desperate, Ramona's siblings tried to get her aboard the USNS Comfort, a Navy hospital ship that had arrived in Puerto on Rico Oct. 3. But patients needed to be referred by San Juan's main public hospital rather than showing up directly for treatment, a complicated process. Maria Gonzalez tried unsuccessfully to get a referral from her sister's overwhelmed private hospital to the public one to the hospital ship. "I called someone at the medical center but they put me through to another number and then someone called and said it had to be handled by a doctor over there," Maria Gonzalez said. "I said, 'But she's really bad. At least let her on the boat a few days because the heat is killing her!" On Oct. 19, Trump said he graded the federal response to Maria as an "A-plus" and a 10 out of 10. "We have done a really great job," he said. Ramona Gonzalez died in hospital the next day. Her doctor did not answer phone calls or text messages seeking comment. Tom VanLeunen, a spokesman for the U.S. Navy's Military Sealift Command, said the Comfort returned to San Juan on Oct. 26 and moored at a pier accessible to the public, which allowed more than 6,000 patients to be seen before it left on Nov. 20. Over the last year, the CPI, Quartz and AP project collected hundreds of reports from Puerto Ricans who believed their relatives had died because of the storm. The names of the dead were matched against a database of death certificates released by the Puerto Rican government after a lawsuit by the CPI. Of those that matched, journalists interviewed as many relatives of the dead as possible and reviewed responses sent to the project through online surveys when relatives couldn't be reached. Most of the deaths in the database are considered indirect, meaning they were not caused by winds or flooding but rather made more likely because of factors like the lack of power, fresh water and medical supplies after the storm. The project did not interview the patients' doctors and the death certificates themselves make no link to Maria. The Puerto Rican government acknowledges that hundreds or thousands of deaths should have been classified as storm-related but weren't, due to doctors' lack of training on how to correctly fill out death certificates. While talking about preparations ahead of Hurricane Florence making landfall, President Trump called the government's response to Hurricane Maria in Puerto Rico "incredibly successful." It is estimated that around 3,000 people died due to the storm and its after effects, and that thousands were still left without power six months after the storm. An analysis of every single death in Puerto Rico from the onset of Maria until the end of 2017 found that fatal incidents of sepsis, a life-threatening complication of infection, rose nearly 44 percent, to 325, when compared to the average of the previous three years. Kidney-related fatalities rose nearly 43 percent, to 211. The analysis also showed big jumps in deaths related to respiratory diseases, accidents, and suicides, as well as increases in deaths among Puerto Ricans ages 30 to 44, despite the widespread belief that the disaster mostly affected the aged. Dr. Cruz Maria Nazario, an epidemiologist and professor at the medical school of the University of Puerto Rico, said the island's medical system had failed in the hurricane due to a lack of long-term preparation that continued up until the days immediately before Maria landed. "These are deaths that could have been avoided," Nazario said. Puerto Rico's governor said last week that his administration has adopted new measures to better prepare for a disaster like Maria although he warned of limitations given the U.S. territory's economic crisis. Rossello said two warehouses filled with water and food are operating in the island's north and south coasts, and that another two will open soon. Prior to Maria, there were none. President Donald Trump said he thought the U.S. “did a fantastic job in Puerto Rico” following Hurricane Maria despite Puerto Rico accepting a new study that said the death toll from the storm was in the thousands, not 64, which had been the official death toll. 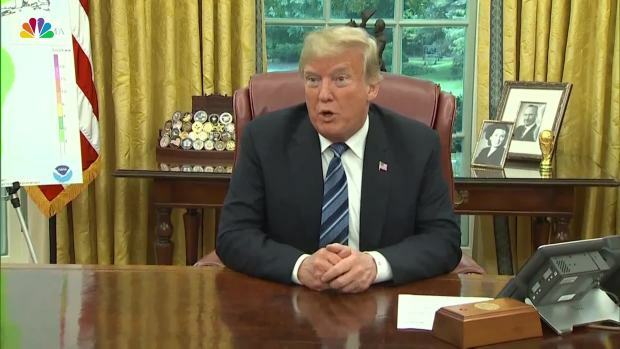 He also said the government now has lists that identify vulnerable populations, including those who live in nursing homes, and direct emergency lines have been installed in some nursing homes and other vulnerable locations. Puerto Rico has one of the United States' highest rates of kidney failure but federal and local emergency plans classified dialysis as a relatively low priority for emergency supplies of fuel and water, despite pleas from patient advocates, said Angela Diaz, executive director of the Renal Council of Puerto Rico, a non-profit group that tries to improve conditions for kidney disease patents. With public water systems down due to lack of power after the Category 4 storm, Puerto Rico's 46 private dialysis centers swiftly ran out of specially treated water necessary for dialysis, forcing them to ration care, she said. "We were there at FEMA headquarters practically shouting, 'This site doesn't have water, it hasn't arrived,'" Diaz said. "They came, eventually. But the thinking at first was, they're private, they need to take care of it themselves." Orlando Lopez Martinez developed diabetes decades ago and the disease damaged his kidneys and forced him to begin dialysis toward the end of 2014. When Maria hit, he had just undergone surgery on an infected foot. The private center in far western Puerto Rico where he received 4½ hours of dialysis three days a week shut down, and he missed four days of treatment over more than a week, according to friends and family. 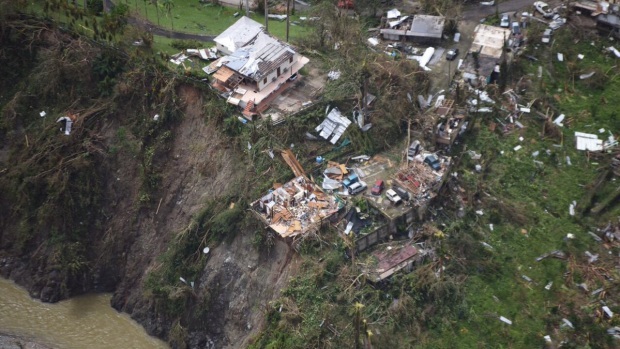 Hurricane Maria caused widespread flooding and damage after pounding Puerto Rico as a Category 4 storm. Rescue crews have fanned out across the U.S. territory as it tries to rebuild amid an economic crisis. When it reopened, it rationed dialysis and Lopez received two hours of dialysis per session, less than half of what he received before the storm, friends and family said. "His face changed color completely. His face was really pale. He got dialysis and changed back, his face got color. But in those days after the storm he looked pale, yellowish, really bad," said Lady Diana Torres, the mother of Lopez' 10-year-old daughter Paola. Lopez died on Oct. 10. He was 48. The official cause of death was a heart attack brought on by kidney disease. There was no answer at the publicly listed number for Lopez's primary doctor. This month, Paola wrote about her father when her teacher asked the class to hand in short essays about the people they considered their hero. "In my memories, I have my super hero, strong and protective, who takes care of me and loves me," she wrote. "He had a lot of battles, but in the last battle, Hurricane Maria beat him." Associated Press Writers Danica Coto and Colleen Long and data journalist Larry Fenn contributed to this report. Visit the interactive database of victims at: hurricanemariasdead.com.